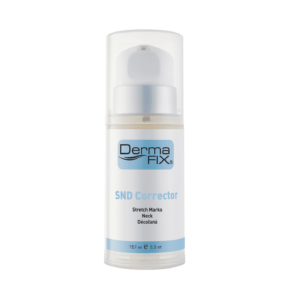 View basket “SND Corrector” has been added to your basket. Regenerate RX is a highly effective complex containing epidermal growth factors, anti-oxidants, anti-inflammatory healing oils and protein stimulating glycosaminoglycans from plants. 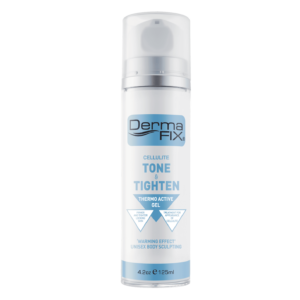 The DermaFix Regenerate RX anti-ageing corrective is specifically used for the prevention of blotchy skin, spider veins, scars, bruises, dry and ageing skin. It contains essential fatty acids and vitamins in a non-greasy formula that is absorbed immediately, leaving the skin protected, soft and supple. 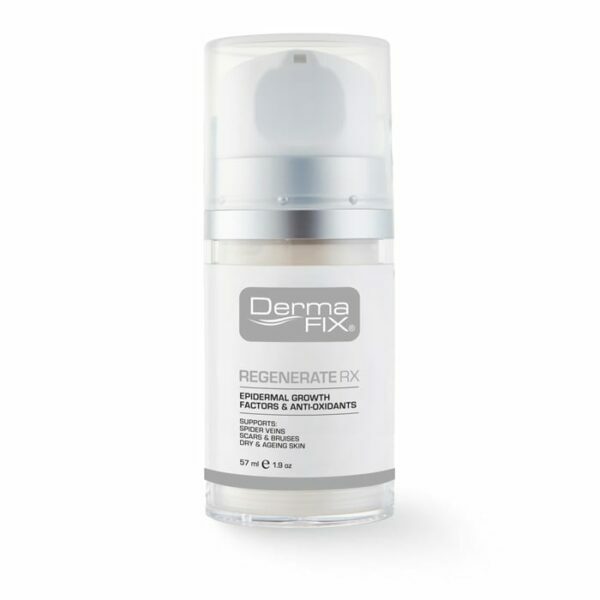 Use an exfoliant for increased penetration before the application of Regenerate Rx Anti-Ageing Corrective. Massage lightly into the skin, twice daily. Regenerate Rx should also be used as a preventative treatment. 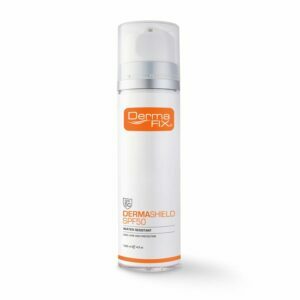 Use DermaShield SPF50 – Zinc Oxide High Protection Sunscreen. DermaFix Regenerate RX is an anti-ageing corrective that increases cell regeneration, promotes healthy granulation and clarification of damaged skin tissue as well as assists in the elimination and prevention of spider veins. 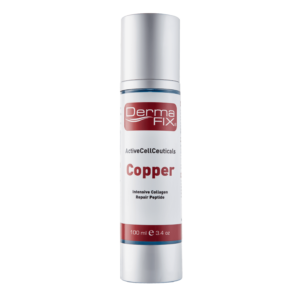 It is also an anti-oxidant rich formulation. I have dry sensitive skin, the dryness tends to get worse during winter month, my face is always red in winter, I have been using this serum for a month now and I’m soo happy to see my face is a lot less red and overall dryness is also improved, will keep on purchase this product.